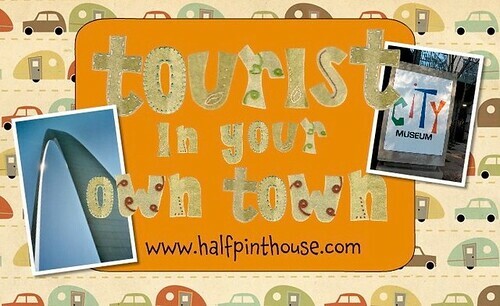 Today’s installment of Be a Tourist in Your Own Town is an oldie but a goodie for our family. 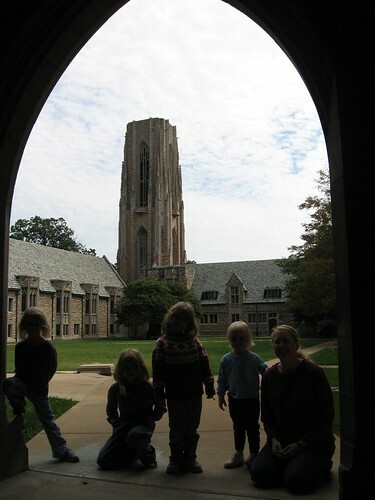 A visit to Concordia Seminary. Okay, so back to Concordia. We lived here for about 15 months when I learned that Concordia allows people to come tour their campus. We couldn’t resist. 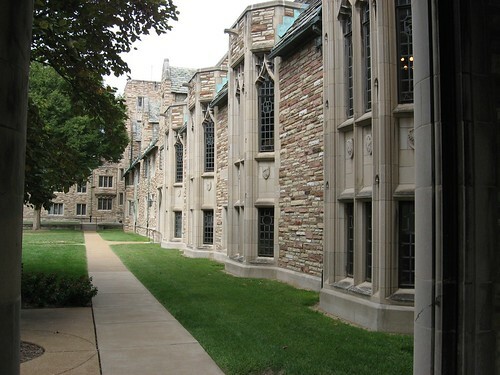 While the institution itself was established in 1839, the present location of the seminary came to be in 1927. 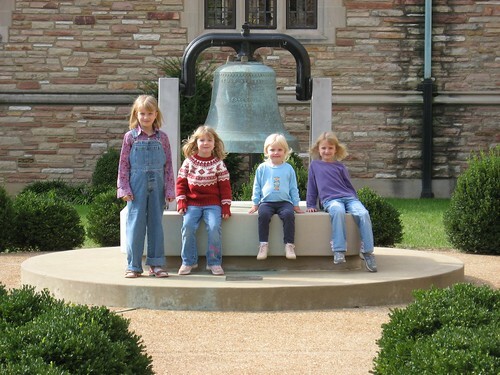 It is in the heart of the Central West End of St. Louis which is just all kinds of amazing as you step out of the city and into the peace and serenity these 72 acres of landscaping and architectural wonder provide. It was almost enough to make us want to become Lutheran. 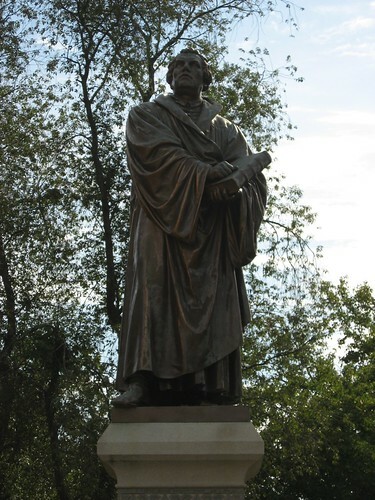 We’d heard a rumor before we went that sometimes Concordia students climb the statue of the great reformer himself and place a can of beer in his hands. 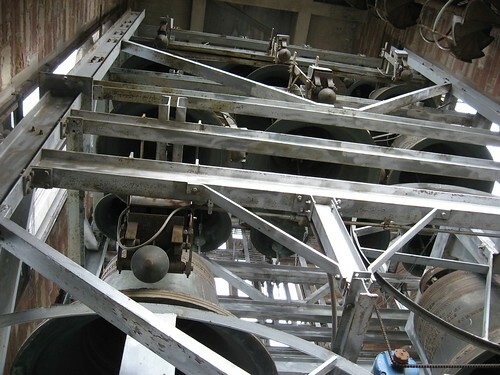 We asked our tour guide about this. He offered no comment on that. We laughed quietly. on this can be found here. 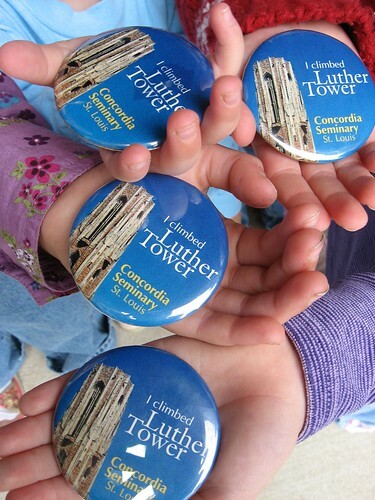 After you’ve accomplished this feat, you are given one of these “I Climbed Luther Tower” buttons. All in all, not a bad way to spend an hour or two in the middle of St. Louis. I recommend it. 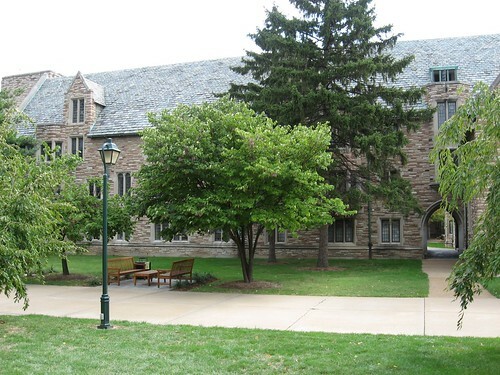 I grew up in St. Charles, and fondly remember visiting Concordia seminary with my dad, who was a Lutheran minister. I still have a Bible that he bought me at a used book sale there back in the 70’s. Thanks for the pictures and the memories. I didn’t realize you could tour the campus. We’ve got family from Atlanta coming in July. This is a great idea. hmmmmm. We’ve been there too! It will probably make an appearance in this series at some point. 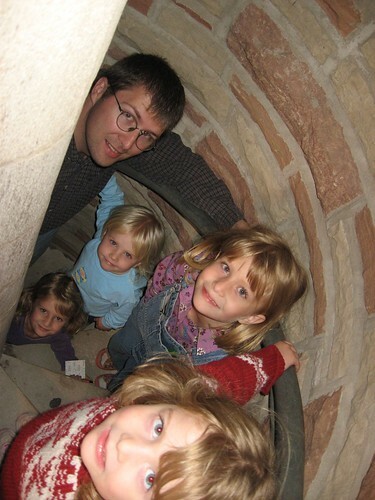 I want to go again now that my kids are older. Beautiful! That is really lovely. I lived in Missouri for six years (during and post Covenant years) and only went to the outskirts of Concordia. Now I really regret it. How come Covenant doesn’t have any statues? Not even Francis Schaeffer. He probably would have held a glass of red wine. Megan, I have lived here my whole life and have never been to Concordia but I think I will now. That is beautiful! Aw, this was an extremely nice post. Spending some time and actual effort to produce a great article… but what can I say… I procrastinate a whole lot and don’t seem to get anything done. Thank you, I’ve just been looking for information about this topic for a long time and yours is the greatest I have found out so far. But, what in regards to the conclusion? Are you positive about the supply?